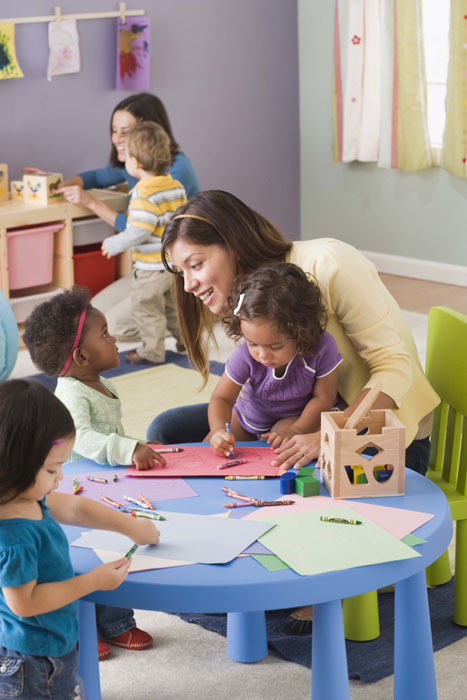 Our teaching and child care center staff are extremely dedicated and highly respected by our familes, each other and our community. We are fortunate to have very little turn over. We are grateful to have had some of our staff with us for over 20 years and a couple for over 30 years. We respect and treasure every staff member for their unique and individual qualities they bring to our center. Every teacher brings something special to our children everyday. Our teachers respect the partnership we develop with our parents to all work together for our children. We work with our families and many local agencies and public school systems while helping with many issues and special needs. Our preschool, pre-kindergarten and elementary staff are always continuing their education to provide our center with a balance of new and old ideas, lots of creativity and a tremendous caring and sensitive attitude. We welcome your child and your family to experience all our staff have to offer.